My family loves donuts just as much as so many other people do as well. 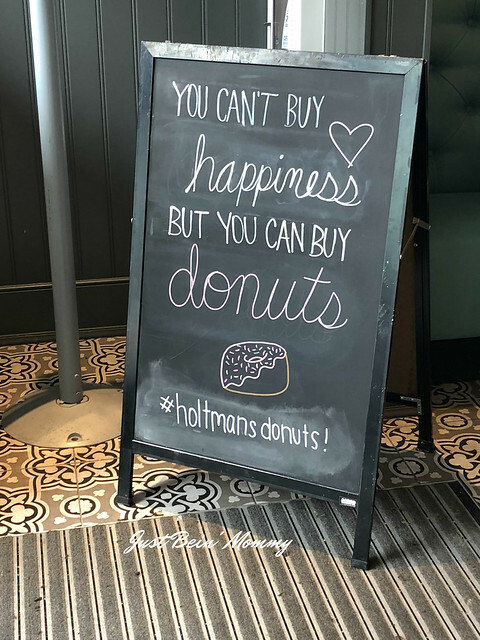 There are always donut shops around here that we go to every once in a while but who doesn’t like to try donuts from other places? 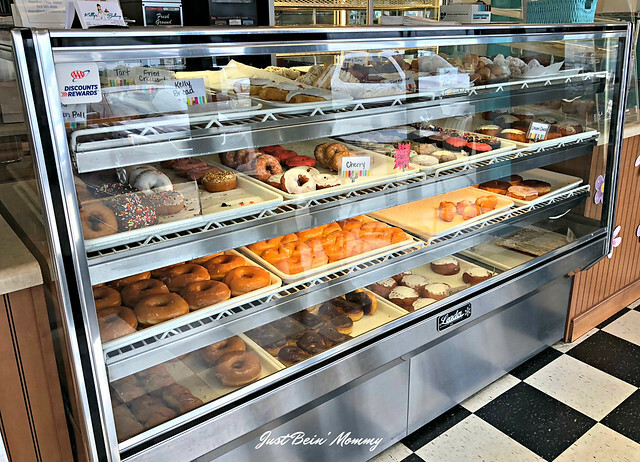 A road trip to a donut trail is the perfect getaway for some yummy donuts! 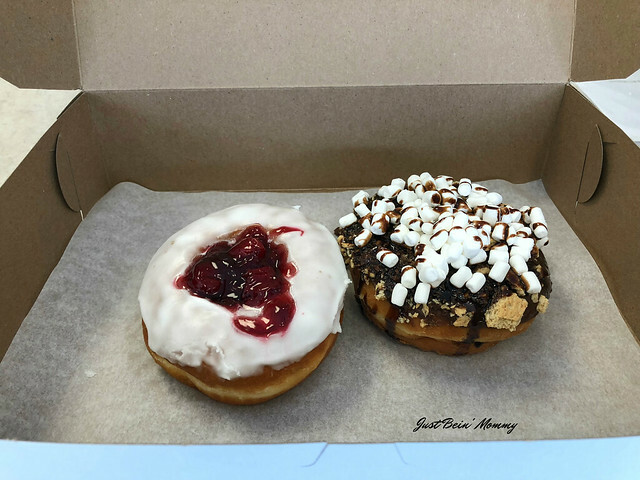 What is the Butler County Donut Trail? The Butler County Donut Trail is located in Butler County, Ohio. 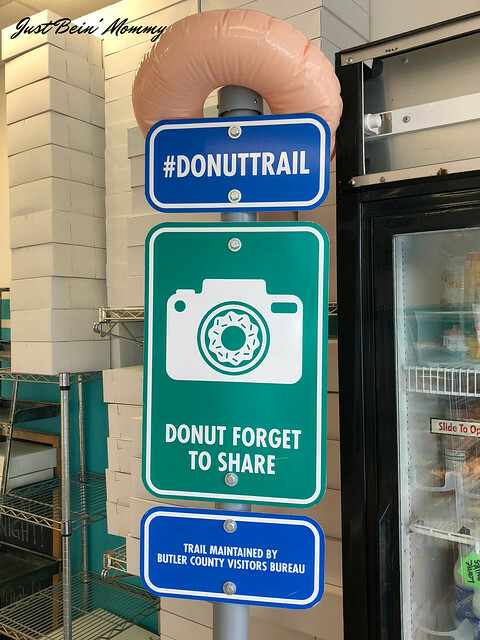 All you have to do is follow the trail markers to find 12 delicious donut shops. 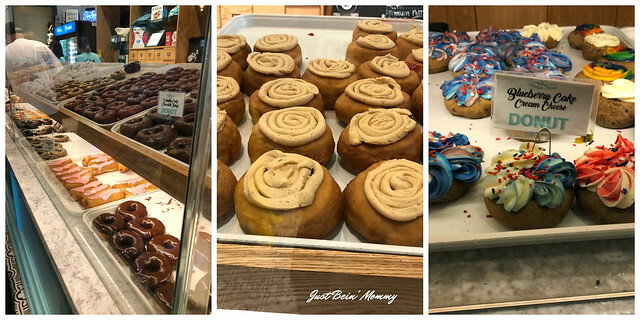 Every shop has their own special donuts so you’ll have to take the time to visit each one. 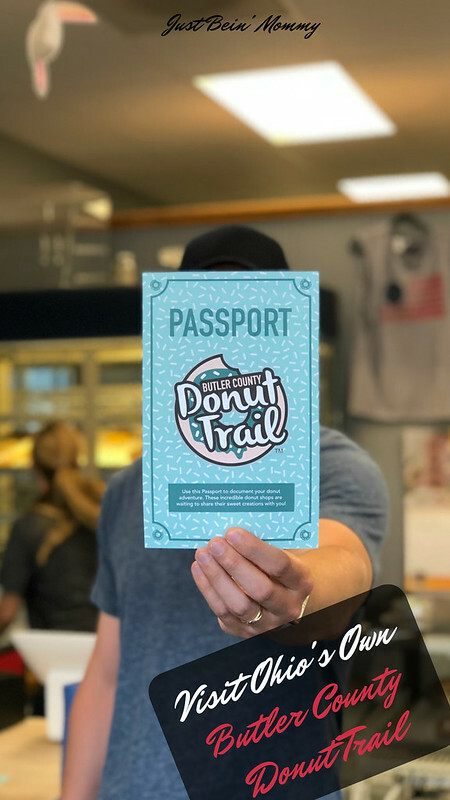 If you take one of the passports to each location as you visit, you get a surprise: an exclusive Butler County Donut Trail T-shirt. These t-shirts change every year so this is something you can do with your family every year. 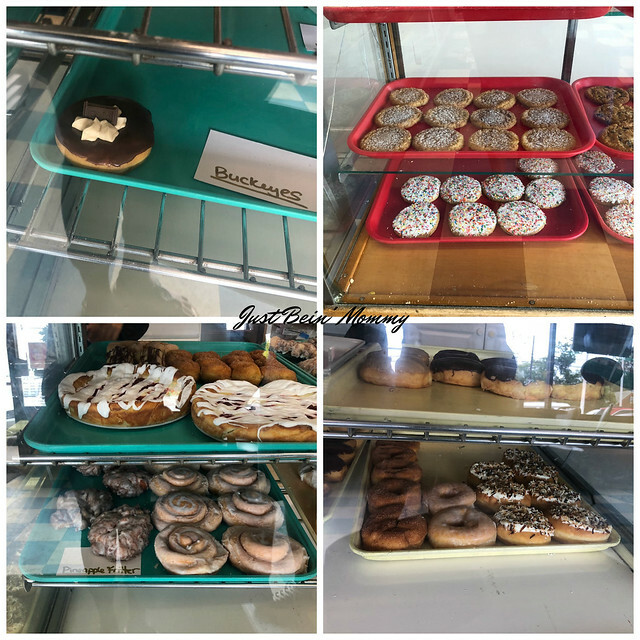 While we were in Butler County a couple weeks ago, we visited 4 of the donut trail locations. Mimi’s Donuts and bakery is the first location we visited. 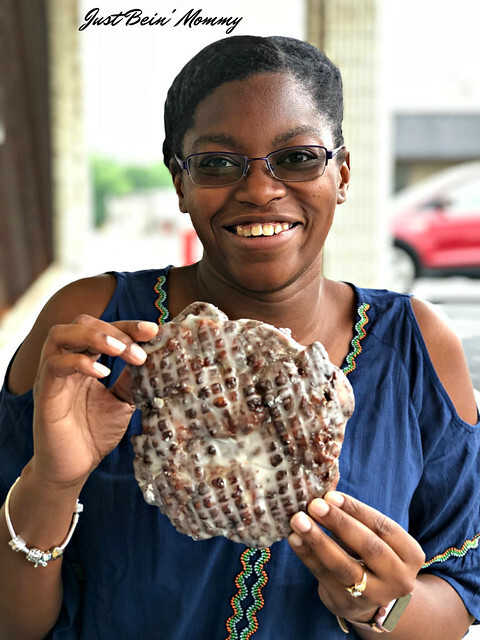 I LOVE apple fritters and after seeing another blogger with a huge one from Mimi’s, I made sure we got one. It is literally as big as your face. The key to traveling the donut trail is to arrive early. They still had a bunch of donuts (I’m not sure if there were any in the back) but once they are gone, they close. We ordered some iced coffee and an apple fritter. Both were delicious and I’m craving more. 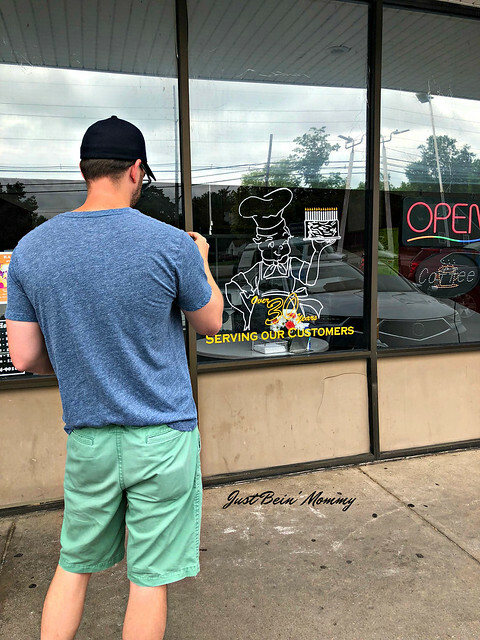 Want to visit Mimi’s Donuts? Everyone sells basic donuts for the donut lover who just likes regular glazed donuts or chocolate cake donuts. But Kelly’s Bakery makes a delicious S’mores donut. That one was mine. We got the last one (which I kind of felt bad for) but it was yummy. Paul claimed the cherry donut and loved it. I was also eyeing the cinnamon roll and turnovers they had. I mean, it all looks so delicious. 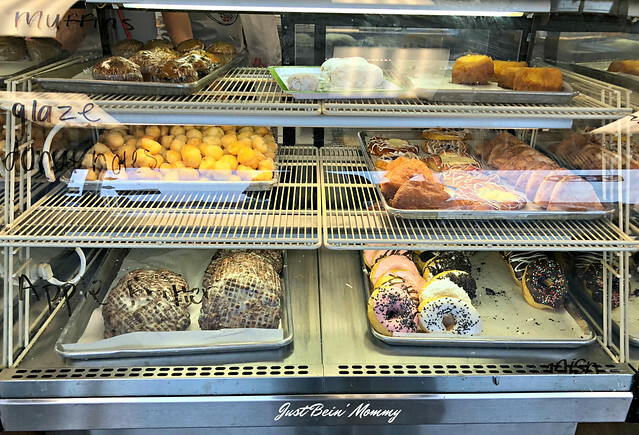 Do you see your favorite donut here in the case? Want to visit Kelly’s Bakery? I have to say that the ladies working at Ross Bakery were the friendliest people we met all weekend. She was very jealous that we had the 2018 Donut Trail t-shirts. I think each location should get the new shirt every year! She picked out donuts for us but also warmed up cinnamon sugar donut hole with cream cheese icing and let us try them. They are amazing! I also noticed a pineapple fritter that would have left with me if it wasn’t for the fact that I already had a ton of donuts. How do you find Ross Bakery? Holtman’s Donut shop was the busiest donut shop by far. The line was at the door when we walked in. I loved how you could see the donuts being made while you waited. And just because they were busy, doesn’t mean they weren’t efficient. We didn’t wait super long and loved being able to see everything they offered while you waited. They had soooo many donuts! I’m betting they keep up with demand since there are people there to continue to make donuts during the day. And so many donuts to choose from. Check it out! Tip: Do your research first. Not all shops are open everyday. Tip 2: Start early. Many shops close when they run out of donuts which could be hours before posting closing time.